According to artist Massa Lemu, it is the year of the dupe. Lemu describes election season in his home country, Malawi, as a time of trickery and deceit, during which the elite makes their way to the ground from their “ivory towers,” as Lemu puts it. While he isn’t home for the election season, Lemu wants to be part of the action.That’s why he has created his own political party. And his latest exhibition at 1708 Gallery, He Who Gave Us Teeth Should Give You Art to See: A Patois Bourgeois P.arty Manifesto, brings that party to life. He Who Gave Us Teeth Should Give You Art to See, an extension of Lemu’s previous project, Patois Bourgeois Minor Portraits, is meant to simulate a post-colonial election campaign platform for the Patois Bourgeois P.arty (that period is intentional). It’s a satirical critique, showcasing the way that, in Lemu’s eyes, election season in Malawi is a time for politicians to have their egos stroked and Malawians to be taken advantage of. Lemu, a visual artist and writer, is currently teaching in VCU’s Department of Sculpture and Extended Media. Lemu says that his uncle, David Zuze, was one of his earliest sources of artistic influence. Zuze painted as a hobby and Lemu watched him as a child. 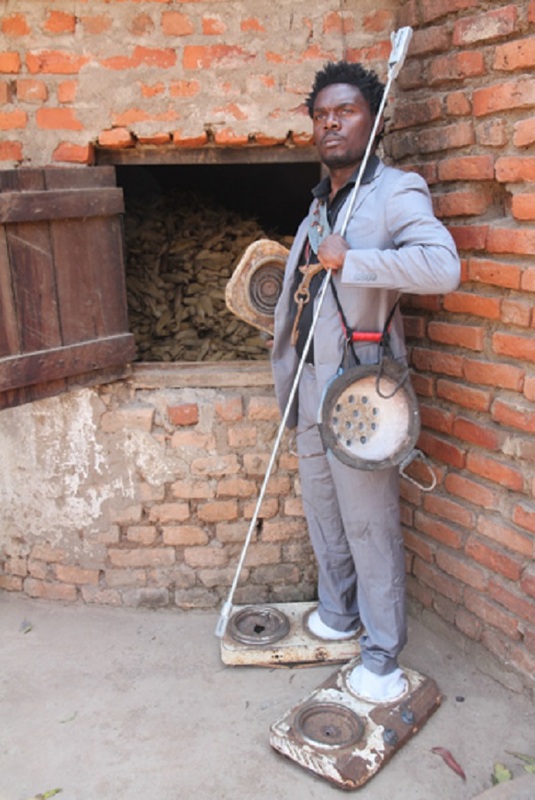 After high school, Lemu went on to study art at the University of Malawi, earning his Bachelor of Education Degree, with a major in Fine Arts, from the University of Malawi. He later received a Masters Degree in painting from the Savannah College of Art and Design, and a Ph.D. in Visual Arts from Stellenbosch University in South Africa. All of Lemu’s work has been influenced by his experience as a Malawian. Growing up in Malawi and seeing the state of things upset him. “After gaining independence, Malawi was in the hands of an autocrat, [Hastings Banda] — it was ruled by an autocratic regime for over 30 years, from 1964 to 1994,” says Lemu. During Banda’s reign, the totalitarian government tortured and murdered political opponents. Human rights groups estimate that nearly 6,000 people were killed, tortured and jailed without trial. Malawi has been ranked over the years as one of the poorest countries in the world; its people, on average, live on less than $1,000 per year. The 2014 “cashgate” scandal found that the country was defrauded by various government officials of $32 million, 1 percent of its annual GDP, over the course of six months. This is just one example of the corrupt government that Lemu attempts to critique through his artwork. Malawi’s president and the vice-president are elected on one ballot for a five-year term. The next election will be in May 2019. Lemu believes the current campaign is excessive and is a mockery, full of empty promises from political elite who do not have the best interest of the people in their hearts. When he introduced the Patois Bourgeois P.arty project, a lot of people following the Malawi election didn’t realize it was satire. “When I posted on social media, some people thought I actually started my own party,” Lemu laughed. The exhibit features political posters emblazoned with symbols and slogans like “TO MAKE MORE BURY-HEAD-IN-THE-SAND-ART,” or “TO MAKE MORE GET-LAID-ART.” Lemu says that the exhibition isn’t just about politics, it’s also about his own existence as an artist. While the target of the messages is the people of Malawi and those in positions of power, the themes of election seasons being full of deception and broken promises reach Americans as well. For many, Donald Trump’s presidency has ignited feelings of disappointment and distrust of the U.S. government. Lemu says that the exhibition is also meant to encourage people to start asking questions about the way we look at politics, and life in general. This maneuver hopes to deceive Malawians into voting for a candidate they don’t believe in, or misinterpreting the intentions of one political party or another. The exhibit serves to promote the idea of decolonization, not just of a country, but the mind. While Malawi may be free from British control, the effects of colonization still show in the country today. 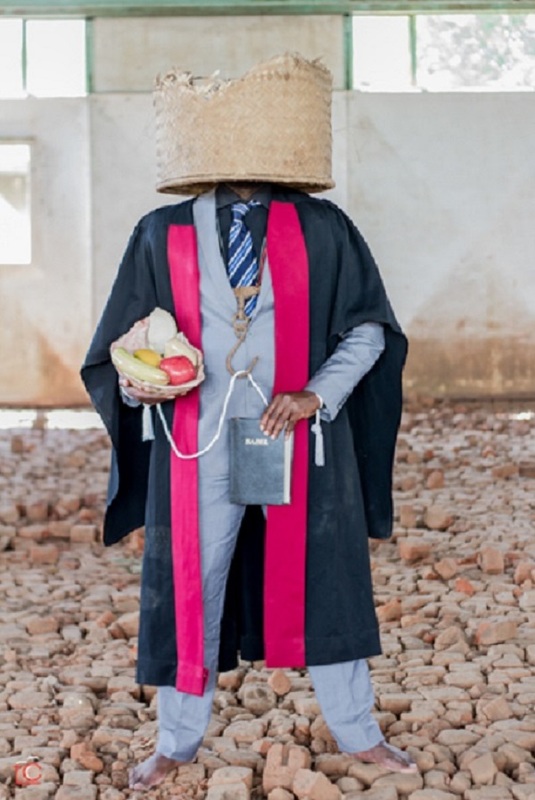 Lemu says he hopes an opportunity comes for him to present this exhibition in Malawi and create a dialogue about the current state of things politically in his home country. For now, it is on display here in Richmond. He Who Gave Us Teeth Should Give You Art to See: A Patois Bourgeois P.arty Manifesto is on display at 1708 Gallery, located at 319 W. Broad St, until Dec. 8. For more info on the exhibition, click here. To see more of Massa Lemu’s work, visit his website.